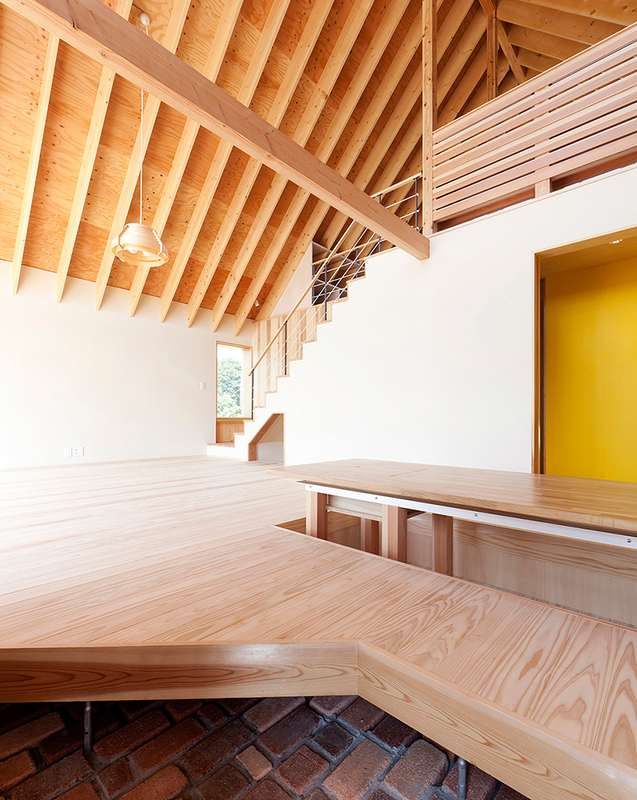 tailored design lab is a tokyo-based firm comprising japanese architects hidetoshi sawa, tomohiko iida, and norifumi watanabe. 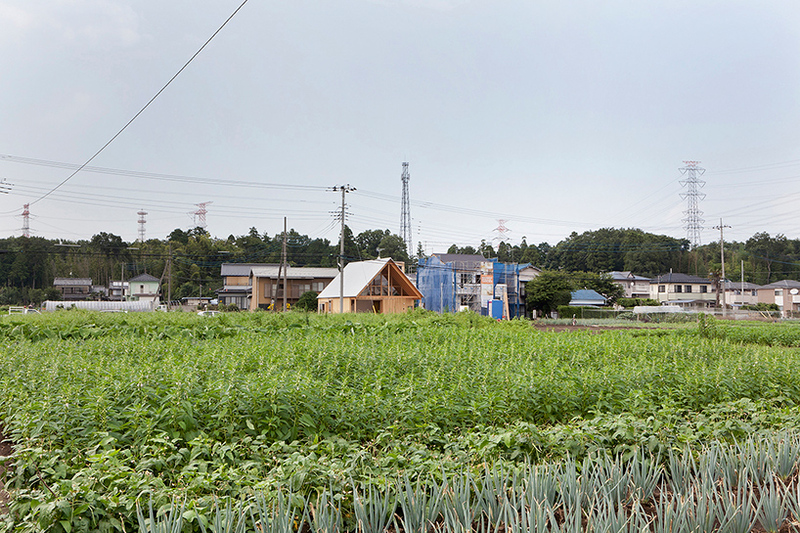 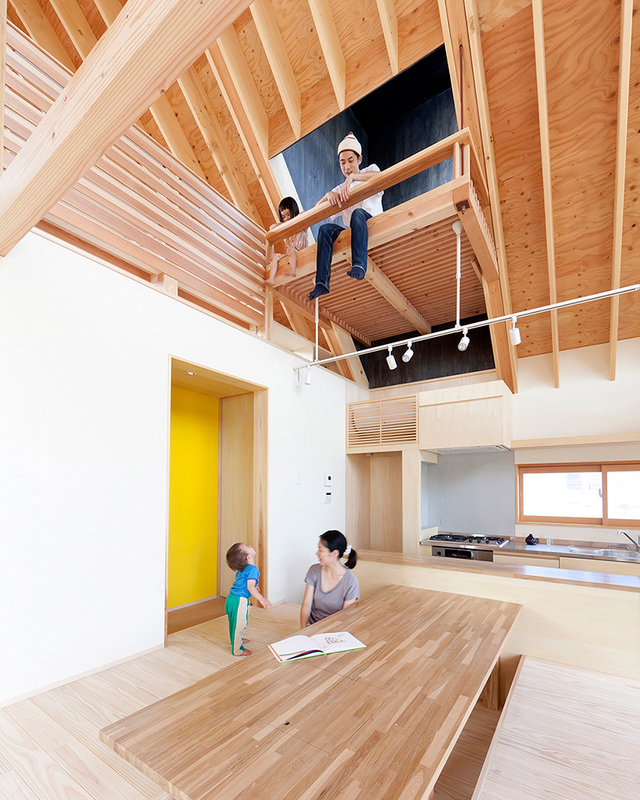 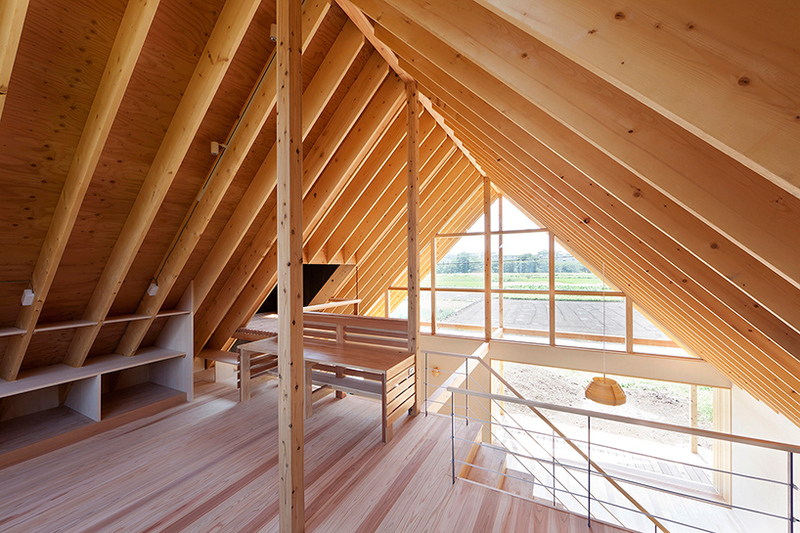 in a rural area of saitama, japan, architect hidetoshi sawa of tailored design lab has completed a two-storey timber dwelling for a young family. 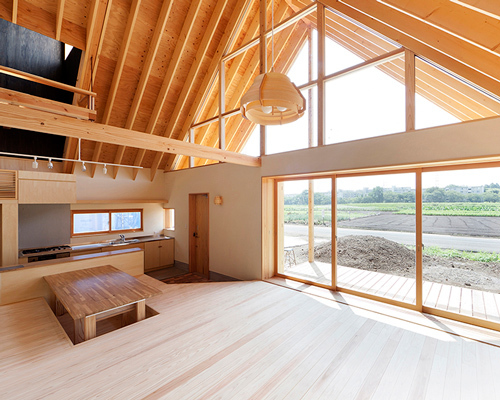 neighbored by fields and farmhouses, the architects sought to develop a design that opened up onto the surroundings, taking advantage of the unspoiled views. 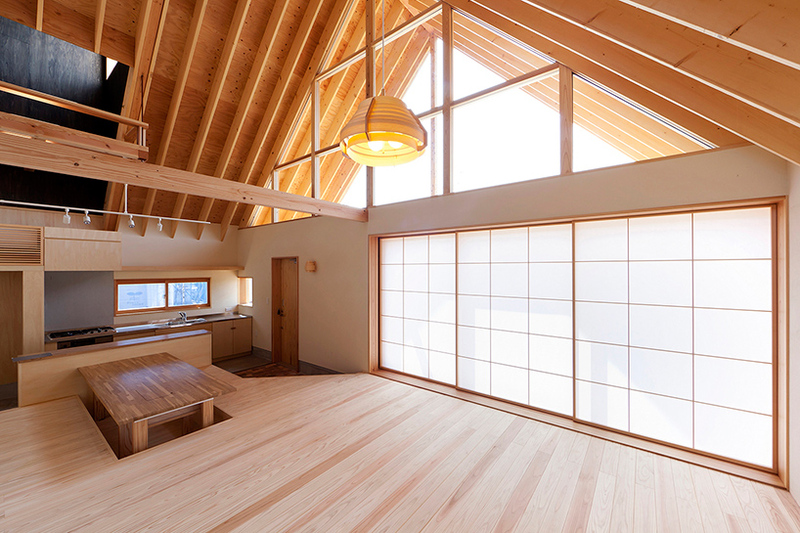 a large roof both frames the landscape and shelters the family inside an open communal living room, placed to the south of the plot. 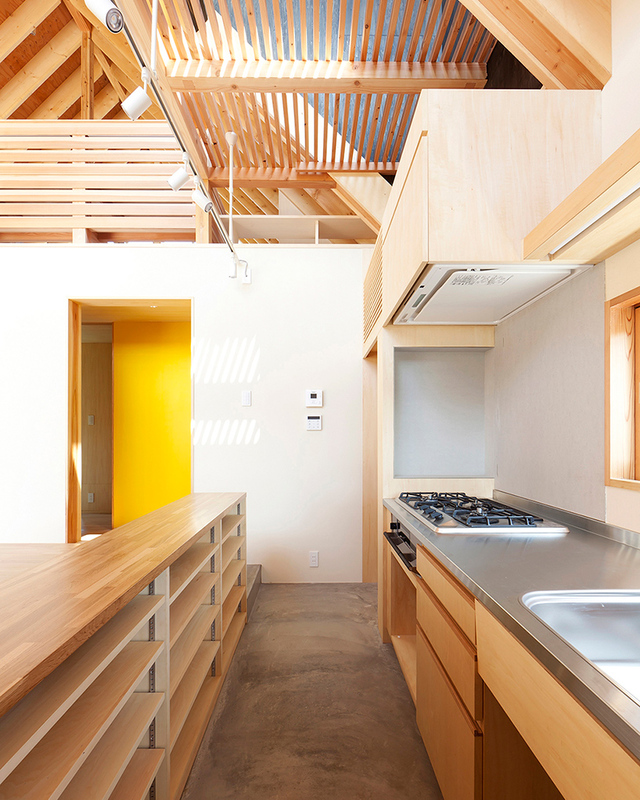 in contrast, more private programs, including bedrooms, bathrooms and storage areas, are located to the north, establishing gradual layers of seclusion. 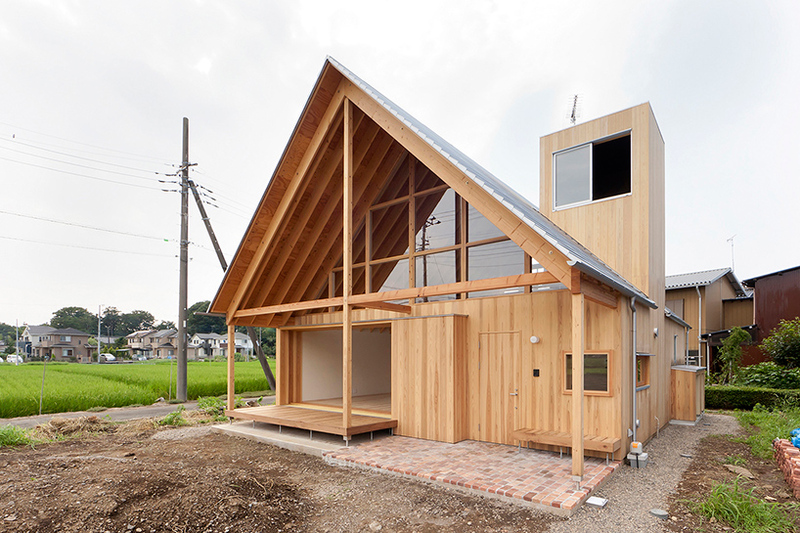 made of 2×12 rafters spaced 455mm apart, the 45-degree pitched roof rests on a simple 105x105mm wooden framework and uses structural plywood to ensure that the building is resistant to earthquakes. 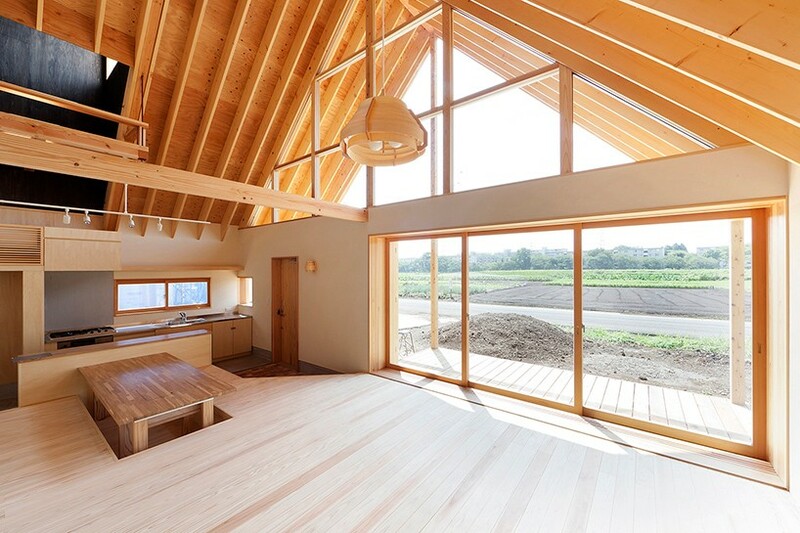 from the upper level, a fully glazed gable presents views of the rural landscape, bathing the entirety of property in natural light. 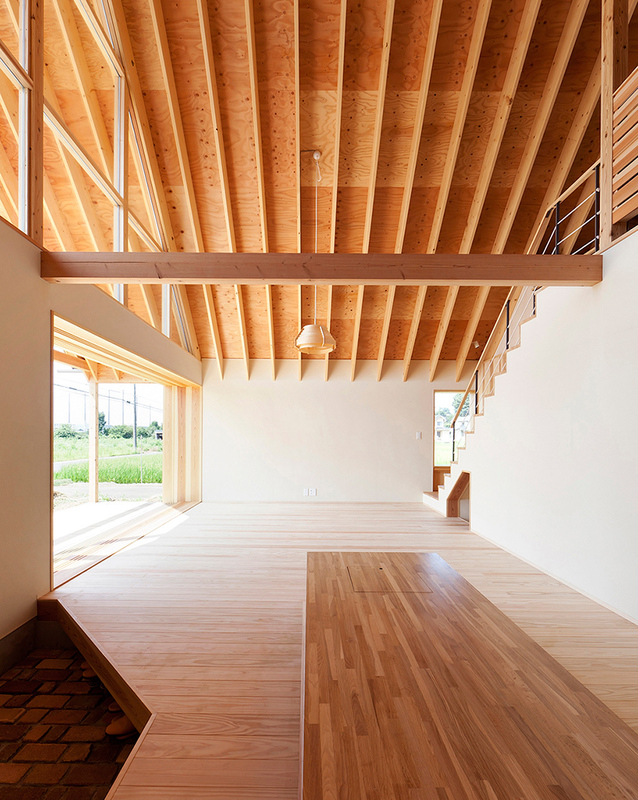 architect: hidetoshi sawa / tailored design lab. 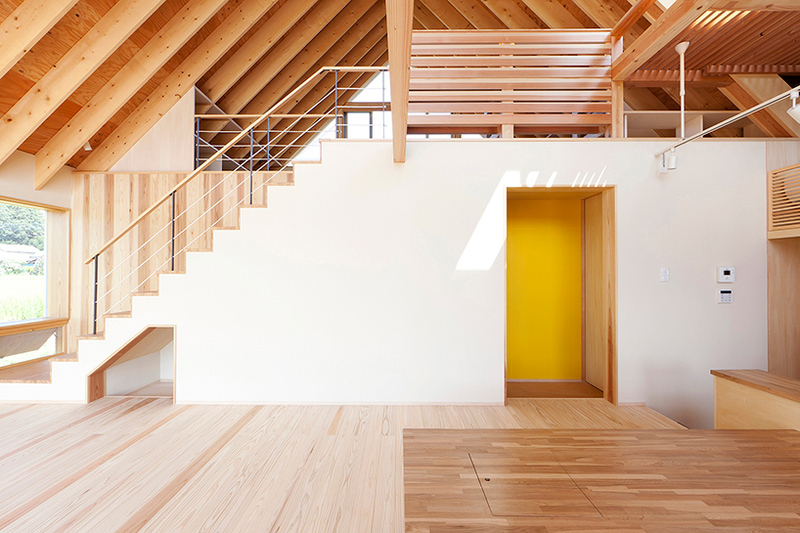 contractor: kimura kougyo co., ltd.